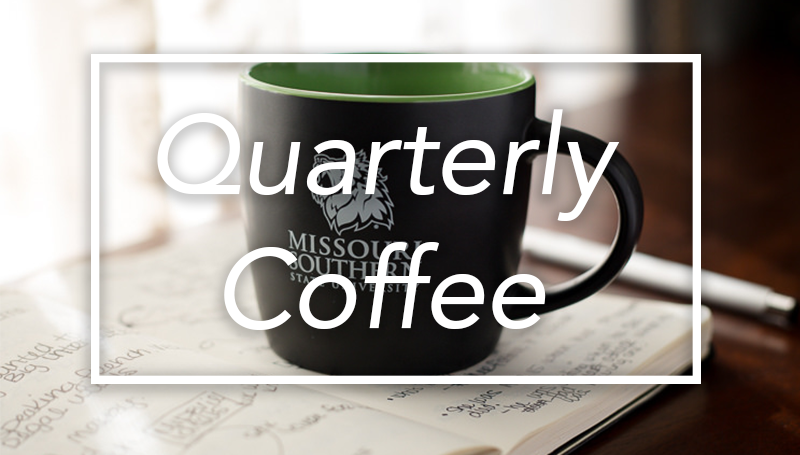 Be sure to mark your calendars for the first Quarterly Coffee of 2018! It will be held from 8 to 9 a.m. Friday, Feb. 9, in Room 309 of Billingsly Student Center. All university employees are invited to attend. It’s a great chance to come connect with your MSSU family!